The Press of Robert LoMascolo: Letterpress Workshop . . .
Letterpress Workshop . 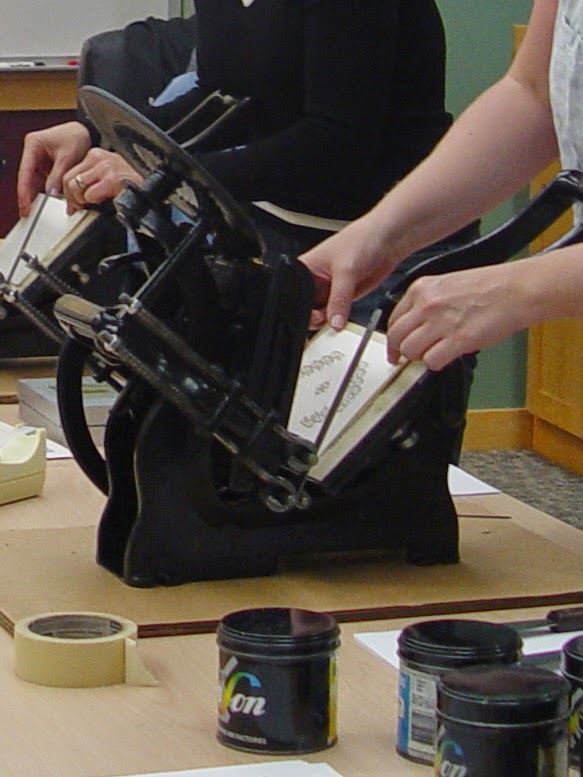 . .
Letterpress workshop tomorrow, January 27th at CCC in Auburn, New York! Experience the historic craft of letterpress printing! You will have the opportunity to print on a real antique press and choose from two all-occasion card designs. At the end of the workshop you will have 12 beautiful letterpress printed cards to take home and use! Letterpress has been around since the time of Gutenberg, but nearly vanished until its recent revival. See first hand what makes letterpress so special, and the results impossible to duplicate by any other process. Taught by Robert LoMascolo, a freelance designer and letterpress printer specializing in classical typography and the book arts. A material fee of $10 will be due the evening of class. Class will run from 6 to 9pm at the Auburn, New York, Cayuga Community College campus. Register on-line, or call 315-294-8841.